Founded in 1989 and headquartered in Luxembourg, IEE is today a leading producer of sensing solutions. During almost 30 years, the company never stopped to strengthen its presence in the country and still have new development projects. IEE, initially Interlink Electronics Europe, was founded in 1989 as a joint venture between Interlink Electronics, based in Camarillo, California, and InvestAR. At that time InvestAR was owned by ArcelorMittal former Arbed, and the Société Nationale de Crédit et d’Investissement, National Credit and Investment Company (SNCI). At first, the newly founded company specialised in developing innovative, easily activated electronic sensors with intuitive, touch-sensitive man-machine interfaces for the automotive industry. Mercedes and BMW were IEE’s first clients, for whom it initially developed a Passenger Detection Sensor. This sensor had the ability to detect the presence of a front seat passenger, to prevent the needless activation of the airbag whilst the seat was vacant. This function permitted to avoid the unnecessary cost of airbag deployment related repairs. This sensor was successfully marketed and went into production on an industrial scale in 1993. At this point the company expanded from around 20 employees to over a hundred. It was then that InvestAR became its sole shareholder and the company’s name changed to International Electronics & Engineering. However, it did keep its acronym IEE. Over the years that followed, other presence detection and occupant classification sensors were developed, winning global recognition for the company. 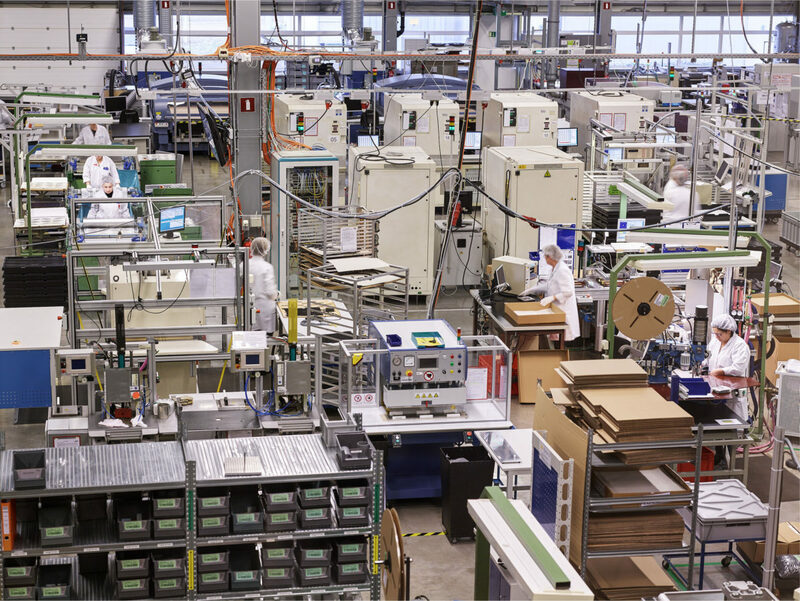 To address the increasing customer demands, IEE opened the plant in Echternach. 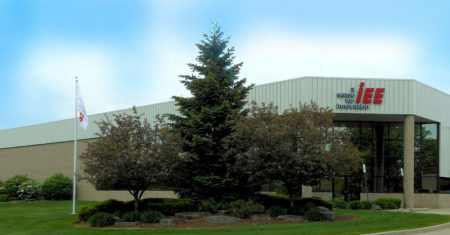 In 1997, IEE set up its first sales office outside of Luxembourg in Auburn Hills, Michigan, United States (see picture), followed by an office and technical centre in Seoul, South Korea, in 2001. The first major change to the IEE shareholder structure took place in 2004. Arcelor and the SNCI, the two historical shareholders, sold their shares for 125 million euros to venture capitalist Apax Partners, to Luxembourg-based private investors BGL Investment Partners and Luxempart, and to the IEE management. This was the first time in Luxembourg that such a technological gem had been acquired by professional financial investors operating in the corporate management sector, rather than by another industrial group. By this time, IEE employed nearly 800 persons, 750 of whom were based in Luxembourg. Buoyed by its new shareholder body, the company continued to expand both technologically and geographically by opening new offices in China, Japan and Slovakia. It continued to develop increasingly innovative and high-performance automotive sensors designed to improve safety, comfort and driving aids. Moreover, it started to design sensors for non-automotive applications, such as people counting and controlling access to sensitive areas. In 2013, Apax sold its shares to a consortium of three Chinese companies, namely the Hiwing Group, the SAIC Automotive Group and financial investor Ascend Capital. With this transaction IEE continued its expansion in Asia, where nearly 500 of the 1,600 employees were based. Two years later, IEE acquired French company All Circuits, specialised in manufacturing industrial electronic solutions on a global level. 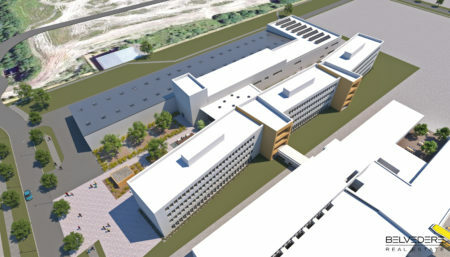 It the meanwhile, IEE continued to strengthen its presence in Luxembourg by investing around 25 million euros into the new IEE Innovation Centre at the new Automobility Campus (see picture) set to open in Bissen in the first half of 2019. In the near future, the company will transfer its global headquarters and R&D operations from Contern to the Campus. This project is mostly driven by the desire to be closer to the ecosystem of start-ups and to create innovative products, based on research in the automotive sector industry conducted at the Automobility Campus and beyond. The signing Economy in late 2017 of two joint funding agreements for R&D projects with the Ministry of the Economy, in close collaboration with the University of Luxembourg and other research institutes marked the start of this new endeavour.